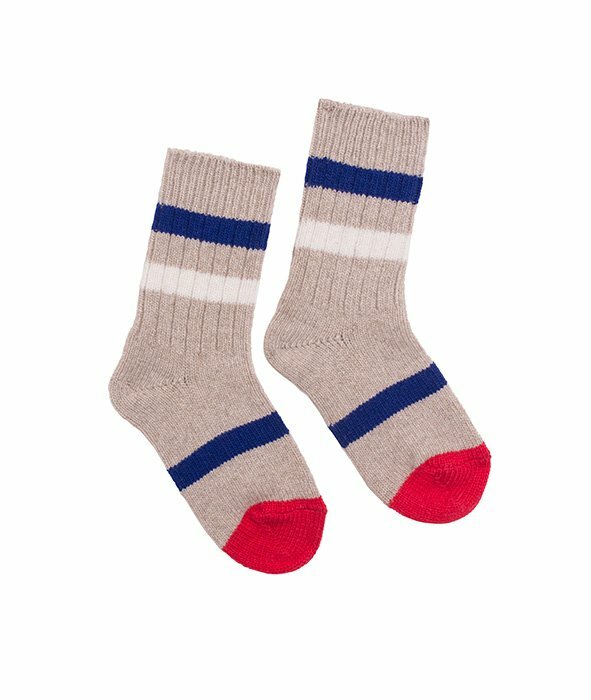 These Nosier ribbed socks are perfectly in tune with the current sporty trend. This beige version is stripped with mauve and off-white at the cuffs, while your toes take a red aspect. This product exists for both men and women in two different sizes 36-40 and 41-45).